Fun & flirty, Toilet Bouquet Luxury Toilet Spray is the new aromatic bathroom experience you did not know you needed! Luxury fragrances are reminiscent of the European perfumes. You don’t have to say Oh la la! every time you go for a No 2! How to Use Toilet Bouquet? 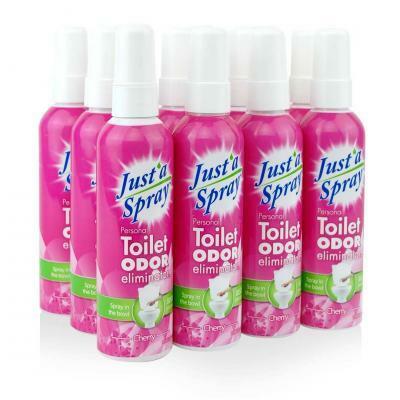 Just a few sprinkles of Toilet Bouquet Premium Toilet Spray into the toilet bowl, before you go, forms a film on the surface of the water that traps and eliminates bathroom odour. Your smelly secrets are safe thanks to our amazing blends of natural essential oils. Embark on a European journey without leaving the bathroom! Spice up your toilet routine with this fruity & energizing fragrance from the Mediterranean orchards.